I wanted to take a second to give some credit to what I think is one of the best free video editors out there, not only that, but I think it should be installed on every windows laptop or desktop because of its simplicity and power. I’m talking about Window Movie Maker. If you’re a professional editor, don’t roll your eyes. If you don’t already edit video you’ll be amazed at the power and simplicity. LIke all awesome discoveries, there’s a story behind my discovery of this little piece of software magic. It was pro football pre-season training camp. I was doing production consulting for a sports news outlet and they needed a way for their journalists & hosts with no video editing experience to quickly and easily take interviews they shot on their phones with players, edit in premade sponsorship clips to the beginning & end then upload interviews to social media outlets like youtube and facebook. Like all large organizations the hosts had company issued laptops and can’t just install software and concerns about software licensing costs for about 5 new editing suite installs, and then there’s training the employees to edit video and the intricacies of a professional editing environment. 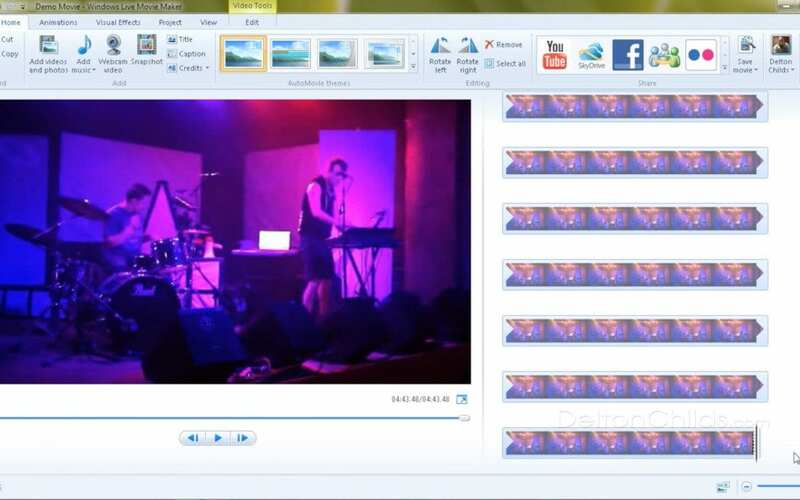 After consulting with the company IT department about all the software possibilities from professional editing suites with multiple licenses, we decided that Windows Movie Maker is the right tool for the job and best solution for basic editing needs. It was a free solution saving the company thousands, the IT department could be confident the tool was compatible with their current laptops, they could easily install it & no hardware upgrades would be necessary, saving even more. One going even one more step, training the staff was a snap because it’s so simple and intuitive.